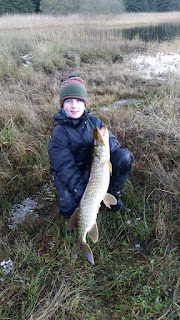 Dillon Kelly was fishing a Scottish Loch when he caught this superb Pike. The fish was caught using Mackerel tail bait fished on the bottom. After a quick photo, the fish was safely returned.